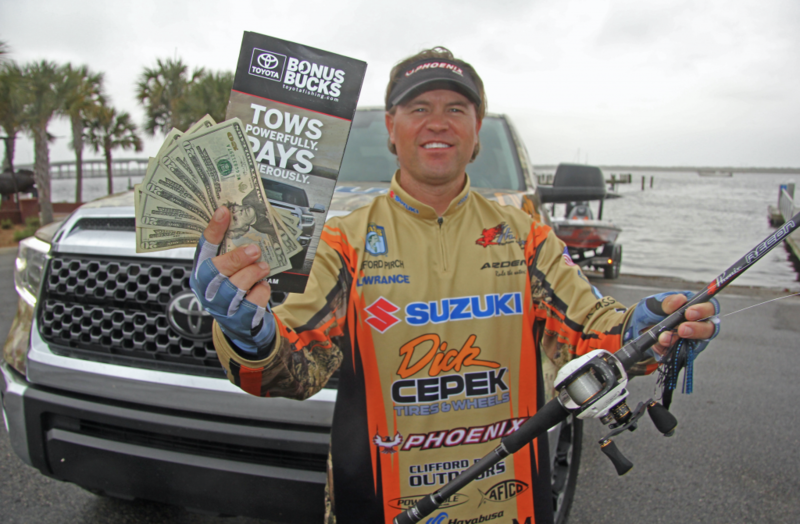 Arizona’s Clifford Pirch got tired of seeing his pro angling buddies Josh Bertrand and Roy Hawk cashing Bonus Bucks checks from Toyota while he was towing with another brand. Pirch earned the bonus by showcasing his angling talents at the famed St. Johns River Bassmaster Elite Series event, especially on Day 3, when he brought a monster limit to the scales that weighed 34 pounds. “About half the fish I weighed-in this week were spawners that fell for a Big Bite Baits finesse wacky worm, and the other half chased a vibrating blade jig,” says Pirch, who is nearly as passionate about hunting elk antler sheds in Arizona each spring as he is bass fishing. Hunting elk antler sheds will keep Pirch busy during what little time he’s home in March and April, but for now he’s happy to be picking up a bonus from Toyota as he rolls out of Florida. You don’t have to be a full time pro like Bassmaster Elite Series anglers Clifford Pirch or John Crews to be eligible to win Toyota Bonus Bucks, you just have to drive a 2015 or newer Toyota Truck, sign up Free for Bonus Bucks, and be the highest finishing registered participant in one of the dozens of tournaments supported by the program. 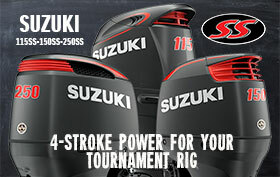 To learn more, please visit www.toyotafishing.com, or call (918) 742-6424 and ask for Kendell or Jarrett and they will help you get signed-up.